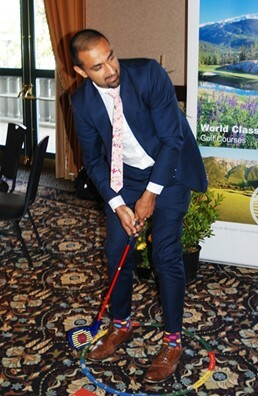 May 28th marked the fourth time that the Allied Golf Association of British Columbia (AGA-BC) has hosted a Golf Awareness Day for the BC Legislature. 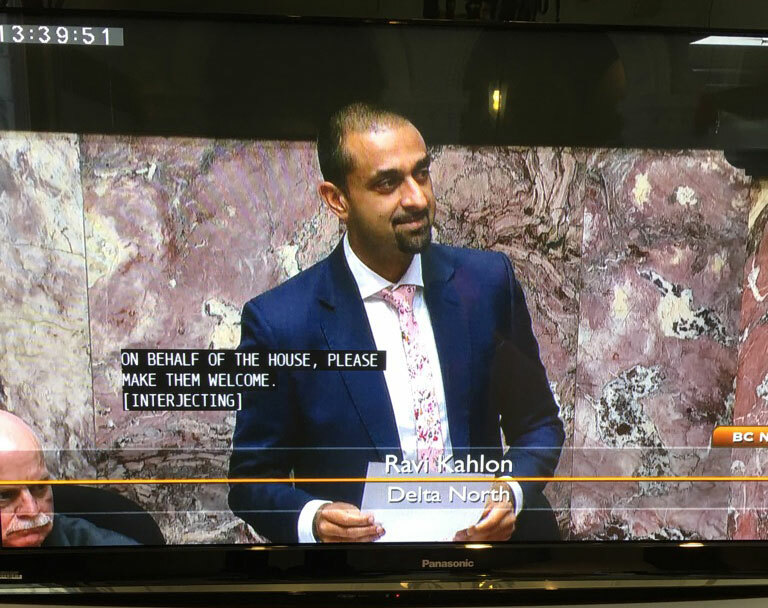 This time, however, it was NDP’er Ravi Kahlon (MLA for Delta North and Parliamentary Secretary for Sport and Multiculturalism) who headed a group of 30+ fellow backbenchers who got an update on golf’s relevance to the people of BC and to the province’s economy as well. – for environmental stewardship where the industry is extremely pro-active in developing IPM (integrated pest management) best practices and setting tough environmental standards. – in promoting golf as a sport for life where playing 18 holes equates to walking more than 10 km and playing the game can add five years to your life. Water was also cited as a concern with the industry wanting to ensure supply at reasonable rates giving themselves a bogey for work still in progress. The Western Canada Turfgrass Association’s executive director, Jerry Rousseau talked about the “California Model” where courses in that state were actually able to use less water than regulators were asking when given the control of when and where to apply it. BC’s amateur organization, British Columbia Golf brought some of their SNAG equipment used in the “Playgrounds to Fairways” programs and MLAs took advantage of the chance to swing some “golf clubs”… some of them for the first time. Shown is North Delta MLA Ravi Kahlon who showed a prowess consistent with an Olympic athlete. From the response of the attending MLAs, it was clear that this like much of the information presented was new. Even the fact that golf is Canada’s #1 participation sport was a surprise to some. But it was clear that Ravi Kahlon and his fellow MLAs were hearing the message. One of the attendees, Liberal Doug Clovechok, MLA for Columbia River-Revelstoke, addressed the Legislative Assembly of BC the next day on National Golf Day, May 29th and invited the members opposite to a match! R. Kahlon: I have two sets of introductions to make. Firstly, we have the Allied Golf Association that was here today. We have Trevor Smith, who’s the president of the Allied Golf Association; Trisha Larsen, who’s the marketing director; Mike Whalen, who’s a director; Keith Lyall, who’s a director and the golf course superintendent of Sun Peaks; and Jerry Rousseau, who’s a director and executive director of the Western Canadian Turfgrass Association. They hosted all the members of this House for a lunch today. We talked about the economic activity associated with golf. We talked about the 36,000 charity events that happen at golf courses around Canada. I really want to thank them, welcome them to the House today and also wish them — I guess a day early — National Golf Day celebrations. On behalf of the House, please make them welcome.